Do Postal Workers Sue Over Dog Bites? - BJE Law, P.A. It’s important to understand how this works in the legal realm. 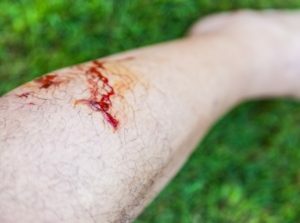 Can postal workers seek legal retribution for dog bites, and if so, how? In many states like Alaska, Arkansas, Colorado, Georgia, Maryland, North Carolina, and Virginia, among others, dogs get one “freebie” bite before legal action is taken. Assuming that the dog has a clean history with no violence, the first bite is forgiven. However, if the victim of a dog bite in a “one bite” state can prove that the dog was neglected by his owner, the dog owner once again becomes liable for the bite. This negligence doesn’t need to occur in the sense of mistreatment, but more in the sense of failing to keep the dog on a leash or otherwise prevent him from a tendency toward violence. When states don’t uphold the “one bite” rule, they are considered strict liability states in which a dog and his owner are not granted any forgiveness or wiggle room after a bite occurs. The dog’s history does not matter, even if it proves that the dog bite was a behavioral exception. There are a few significant exceptions to the strict liability, however; the dog’s owner is not held liable if the dog bites a trespasser, bites after being clearly provokes, or bites a veterinarian. It can be difficult to comprehend all of the various details of the law, but at the end of the day, a mailman’s choice to sue over a dog bite will be based upon the state in which the bite occurred, the situation surrounding the bite, and the severity of the injury. Mailmen have certainly sued successfully in the past, and are bound to do so in the future.